While the temps have been an indication that fall is coming, last week we officially transitioned from the end of summer to the beginning of fall. What that means is the amount of daylight available is becoming less and less. For most of us, this means that we’ll be running with little to no sunlight which can make for a dangerous workout. So, please make sure that during all of your runs (alone or with the group) you are being aware of your surroundings. 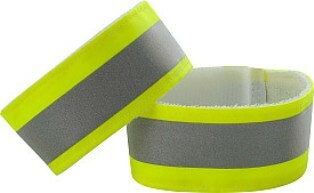 Why we like it: It’s lightweight, can be used as an accessory to any outfit, and provides 360 degree reflectivity. Additionally, it’s adjustable sizing means everyone in a household can use it. Comes in yellow and pink. Why we like it: Lightweight, adjustable, and has comfortable straps. 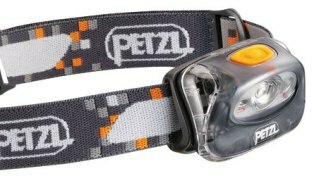 Gives visibility for up to 40 meters for up to 60 hours. Comes in a variety of colors. Why we like it: Can be used with any outfit. Additionally, reflective accessories that go on your limbs tend to be seen by drivers more then pieces worn on your torso because your limbs will be moving and catch their eyes.